The release of Godzilla vs Mechagodzilla in December 1994 not only marked the fortieth anniversary of the King of the Monsters, but also the twentieth film in the series. However, although kaiju fans are familiar with the Big G’s American released adventures, and while most western fans are exposed to Godzilla’s exploits on the small screen, many are unaware of his numerous appearances on Japanese TV. In 1966, Eiji Tsuburaya, the father of Japanese special effects, produced the first of a series of television programs which would eventually bring to the world the greatest Japanese super hero of all time: Ultraman! Called Ultra Q, filmed in black and white, and aired from January 2 to July 3, 1966, this Japanese hybrid of the Twilight Zone and The Outer Limits followed the adventures of Jun Manjome (an aviation pilot), Yuriko Edogawa (a newspapers photographer), and Ippei Togawa (Jun’s air service partner), as they investigate strange phenomena throughout Japan. The series featured very literate stories showcasing special effects equal to the features Toho was producing at the time. 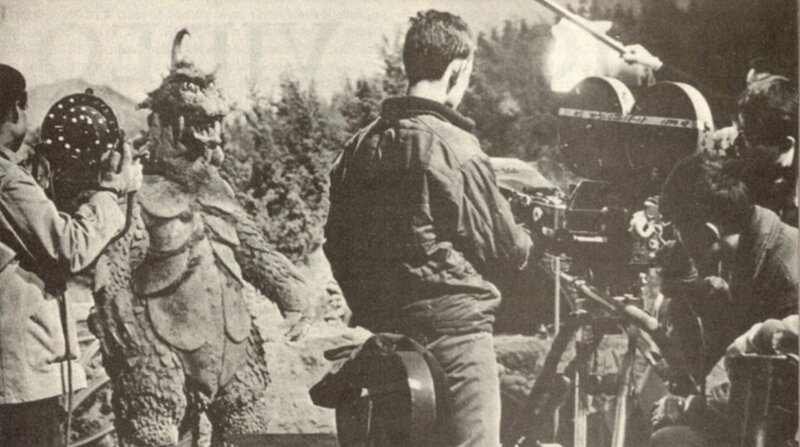 Gomes is one of the Mosugoji Godzilla suits (two were used in production of Godzilla vs. The Thing), redressed and painted with plates on its chest, a turtle-like shell, paw-like hands, a tusked mouth, a horned head, a split tail, and hair. Although disguised, it is painfully obvious the creature is Godzilla. As the two battle, Gomes attacks Litra with tail swipes, kicks, bites, and punches, and just when it appears Godzilla, I mean Gomes, has the upper hand, Litra unleashes a ray at Gomes and the monster dies. His mission fulfilled, Litra lands on Gomes ‘ back and expires in a scene reminiscence of the climax of Godzilla vs Mechagodzilla. 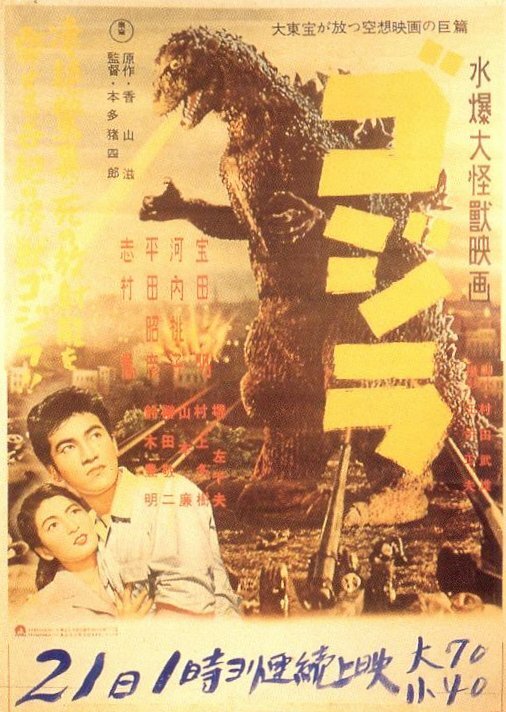 Although the two monsters don’t accomplish much destruction, it is significant that the first episode of what would become the greatest super hero series of all began with Godzilla. A month after the final episode of Ultra Q was broadcast, Tsuburaya Productions premiered Ultraman, which ran from July 17, 1966 through April 9, 1967. A more child oriented adaptation of Ultra Q and filmed in color, Ultraman followed the adventures of a policeman from Nebula M78 who, by joining his life force with that of Earthman Hayata, helps the Science Patrol investigate and combat strange phenomena threatening the Earth. Although the series was geared towards kids, it became an instant hit in Japan with higher ratings than Ultra Q. Ultraman became the Japanese cultural equivalent of Superman and once again the King of the Monsters made an appearance on the show. It seemed natural that Japan’s two greatest icons should be pitted against one another and although the inclusion of Godzilla (albeit disguised) in Ultra Q gave great hopes for the ultimate battle, the showdown would never take place (at least, not technically). In “Ultraman vs. Kira” (air date: 181 09/66) mysterious scientist Dr. Nokoma is breeding strange creatures at Lake Kitayama. His experiments are also creating a great increase in fish procreation so the Science Patrol is sent to investigate. While the Science Patrol is checking out the lake, Dr. Nokoma receives a visit from reporter Miss Kubo and her photographer. Nokoma is the world’s leading authority on strange animals and he chills the two with tales of giant creatures. He also brings up the subject of Dr. Makido, an old colleague who vanished twenty years before while searching for the Loch Ness Monster . Completing their investigation, the members of the Science Patrol decide to spend some time at the lake for a much needed holiday. Joining Miss Kubo for a moonlit walk, Ito, a member of the Science Patrol, is amazed to see a huge creature rise from Kitayama Lake. The two are even more surprised to see Dr. Nokoma rowing out to the middle of the lake to feed it. Investigating, Ito and Miss Kubo are captured and imprisoned in the doctor’s laboratory where Nokoma informs them that the creature’s name is Jiras (Kira in the American version). Concerned by the disappearance of Ito, Hayata rushes out to Lake Kitayama. The next morning, two environmentally unfriendly fishermen dump poison into the lake, scooping up the fish as they float to the surface. An enraged Jiras rises from the lake (by means of very visible wires). Alerted to Jiras’ appearance, Dr. Nokoma rushes out to the lake only to be confronted by the Science Patrol. Nokoma turns out to be the missing Makido, who went into hiding in order to nurture Jiras. Fleeing the Science Patrol and running straight towards Jiras, Makido is promptly stomped by the rampaging beast, who then turns toward the doctor’s house where, Ito and Kubo are still trapped. Hoping to stop Jiras’ deadly destruction, Hayata uses his Beta Capsule to become Ultraman. He engages Jiras (another Mosugoji suit only slightly redressed with a huge ribbed fin around the neck, a yellow stripe painted from the forehead to the bridge of the nose, a blue painted chest and yellow painted back fins), in what turns out to be a pretty tame battle. Jiras throws a rock into the air, blasting it apart with his laser breath (exactly like in the movies), though there is never a clear shot to determine whether his fins glow. Not to be outdone, Ultraman also tosses a rock into the air and blasts it to pieces with his Zeta Beam. During the course of the battle Ultraman rips the fleshy fin from around Jiras’ throat so that the monster is nothing more than a repainted Godzilla. The two charge each other, Ultraman landing what appears to be a minor blow to Jiras’ midsection. Kira turns and, with blood trailing from his mouth, falls dead. Ultraman replaces the fin around Jiras’ neck. Like many of the battle sequences taking place over the course of Ultraman, this one is played largely for laughs. While riddled with plot holes and generally poorly written, “Ultraman vs Kira” does present some interesting visual touches. It also may have helped Godzilla overcome his shyness over appearing on TV for in his next appearance, there’s no doubt the King of the Monsters is playing himself. Ryusei Ningen Zone (Meteor Man Zone), or Zone Fighter, was a typical Japanese superior television program produced by Toho Eizo Co., and broadcast on Nihon TV from April 2 through September 24, 1973. The show was obviously modeled on Ultraman but aimed at an even more juvenile audience. Through its twenty-six episode run, the show followed the exploits of the Sakimori family, the sole survivors of the planet Peaceland, a world known throughout the galaxy for its adherence to the principles of peace. Their homeland is destroyed by the evil army of Baron Garoga, warlike aliens (played by actors wearing bug-eyed monster masks) with a taste for conquest. Baron Garoga expands his empire by turning loose his monster pawns on unsuspecting planets one after the other. Escaping from Garoga’s onslaught, the Sakimorians flee to Earth (luckily the inhabitants of Peaceland look exactly like Japanese human beings), only to have Baron Garoga track them down and make Earth his next target. In defense of the Earth (and themselves), the Sakimorians, with the help of an Earth family, counter the plans of Baron Garoga. The members of the Sakimori (or Zone) family are Hikaru, Kei, Hikaru’s younger sister, and their little brother Akira. All three have the ability of transformation: Kei into Zone Angel, Akira into Zone Jr., and Hikaru can increase his size becoming the super powered Zone Fighter. Though entertaining, the show was somewhat pathetic with the opening credits containing the words to the Zone Fighter theme so children could sing along. Also, the initial appearance of each monster was accompanied by its name, documentary style at the bottom of the screen. 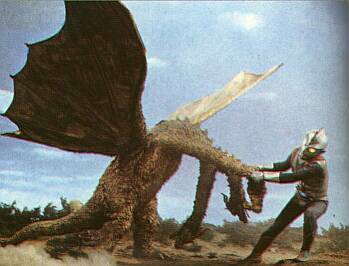 What distinguishes Zone Fighter from the rest of Japanese super hero fantasy are the sporadic guest appearances of three of Toho’s monster stable: Gigan, King Ghidora, and Godzilla himself. In “Invasion! The Attack of Garoga’s Army” (air date: 23/04/73), a shooting star falls to Earth one night and lands in the field near the Zone Family’s house. Early the next day while investigating the event, the Zone family stumble upon Tatsuo, an old friend of Kei and thought to have perished in the attack on Peaceland. Tatsuo claims to have been captured during the attack of Garoga, from whom he has just escaped. Hikaru and Akira are suspicious of the story , for if Tatsuo is a recently escaped prisoner, why was he sitting in a field flying a model airplane and trying to injure Hikaru’s friend? Kei, however, believes the story and invites Tatsuo to stay at their home. Tatsuo turns out to be a Garoga agent and betrays Kei, attacking her with toy tanks and planes activated by a music box he had given her. Tatsuo also summons a huge monster called Wargilgar, who begins a destructive trek towards Tokyo. Witnessing the monster’s advance on television, Hikaru transforms himself into Zone Fighter and flying through the TV screen, engages Wargilgar while Kei confronts Tatsuo. Tatsuo reveals himself as a Garogain (for they have the ability to assume any form) and transforms himself into Spilar the radiation monster. Together, Wargilgar and Spilar overwhelm Zone Fighter, so Zone Angel and Zone Jr. send out a call to Godzilla. The King of the Monsters tears into the alien beasts and burns Wargilgar to a crisp with his atomic breath, one of the few times a Godzilla foe is seen to burst into flames. Zone Fighter, his strength regained, destroys Spilar using his Missile Might (rockets fired from missile launcher bracelets on his wrists). 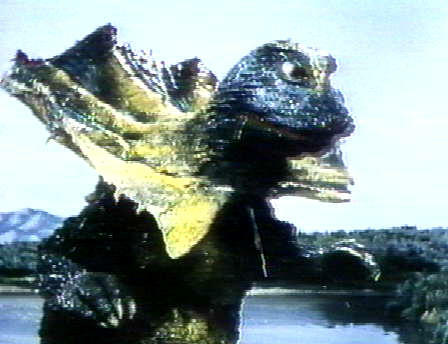 Godzilla plays no part in “The Arrival of King Ghidora” (air date: 30/04/73), but his greatest foe does. Baron Garoga has devised a plan to block the flow of sunlight to the Earth. Called the Dark Prism Operation, the plan is to use a crystal to deflect the sun’s rays. Fortunately, an Earth scientist has discovered a method to counteract the Dark Prism Operation, so Baron Garoga sends his agents to capture the scientist by use of a paralyzing helmet, which can appear out of thin air and fall onto its victim’s head. Also, in order to counter the threat of Zone Fighter and Godzilla, Baron Garoga casts into the outer reaches of space for his ultimate weapon: King Ghidora. With Ghidora on the rampage Zone Fighter faces his deadliest challenge. While Zone Fighter is occupied, Baron Garoga puts his Dark Prism plan into operation, and begins to block out the Sun. However, Zone Angel and Zone Jr., along with the Earth family, are able to overcome the Dark Prism Operation by means of electric waves. Ghidora in the meantime, proves more than a match for Zone Fighter and the hero suffers a humiliating defeat. Mustering his remaining strength, Zone Fighter leads King Ghidora into space and away from the Earth. “The Revenge of King Ghidora” (air date: 07/05/73) continues with Zone Fighter leading King Ghidora toward an asteroid in space. Suddenly, all contact with Kei, Akira, and the Earth family is lost and Ghidora disappears. The Zone family has been captured by Baron Garoga’s agents (by means of the paralyzing helmets) and taken to a secret base to be executed. Hikaru is able to rescue his family but Ghidora reappears on Earth, pulling cars in the air by the suction of his great wings and suspending them by means of gravity beams. While Zone Fighter is occupied rescuing the stranded motorists, Ghidora attacks and destroys the lab of the scientist who devised the plan to thwart the Dark Prism Operation. Zone Fighter attacks King Ghidora but once again the space beast triumphs. Using the crystal of the Prism Operation, Zone Fighter once again leads King Ghidora into outer space. The final showdown takes place on an asteroid where Ghidora seems on the verge of defeating Zone Fighter. Drawing on all his strength and agility, and with an assist from Zone Angel and Zone Jr., Zone Fighter manages to topple the great titan and then direct his arsenal of super weapons at the fallen dragon. Zone Fighter returns to Earth exhausted, but also content in having overcome such a powerful and deadly adversary. “In the Twinkling of an Eye” (air date: 11/06/73) begins with the death of a famous race car driver while testing a new automobile. It turns out that the driver was murdered by Baron Garoga, knowing that Hikaru would become the driver’s replacement for the upcoming Grand Prix. Unbeknownst to Hikaru, one of his colleagues had hoped to race in place of the murdered driver. Vengefully, he joins Baron Garoga in a plan to do away with Hikaru as well. Garoga’s agents replace the race car with a booby trapped duplicate and Hikaru is trapped inside the car which is then placed in a scrap metal crusher. Unable to transform into Zone Fighter, Hikaru sends out a call for help (why he doesn’t climb out of the open car window is never explained). Zone Angel and Zone Jr. set out to contact Godzilla, whose destructive arrival knocks out power in the area, disabling the press. 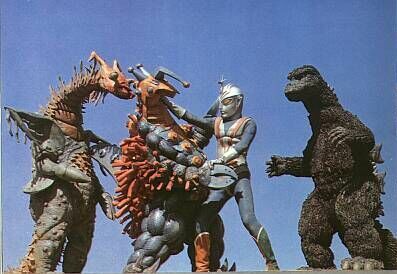 Before Hikaru can escape from his confinement, Baron Garoga sends Gigan to attack Godzilla. Released from his transport capsule and parachuting (!) to Earth, the cyborg monster looks a little the worse for wear. He has obviously not fared well since his last battle with Godzilla and Jet Jaguar. Godzilla easily defeats Gigan with a few punches and heat blasts, leaving him for dead. Meanwhile, Hikaru, Zone Angel, and Zone Jr. raid the alien base, only to discover that Hikaru’s rival has been snuffed by the two-timing aliens. Gigan revives but Godzilla has left the area so it’s all up to Zone Fighter . After a brief but vicious battle, the super hero finally kills the alien cyborg. In “Submersion!” (air date: 09/071 73), Tokyo and the surrounding countryside are rocked by several strange earthquakes. At the same time, Garoga’s agents are at work causing havoc in the city, even running down one of Hikaru’ s friends in the street. As Hikaru investigates, he is attacked by Garoga’s men and a chase ensues. Tracking the quakes to their source, the Zone family discovers Zandolla, a huge brown monster with a conical head it uses to drill underground. Akira is trapped when the ground opens beneath his feet, and as his siblings arrive to help, Zandolla attacks. Transformed, Zone Fighter battles the drill-head monster in order to protect his brother, but Zandolla proves to be a worthy adversary . When the battle moves underground, Zone Fighter (who depends on the sun’s “proton energy” power) grows weaker and weaker. Roused by the quakes, Godzilla arrives to investigate. Leaving Zone Fighter trapped underground, Zandolla emerges to battle Godzilla. Their violent clash causes the earth to shift, freeing Zone Fighter. Combining their might, the two heroes vanquish the mecha-monster, sealing their victory with a friendly handshake. “Invincible! Godzilla Enraged!” (air date: 20/08/94) begins with a bang: Godzilla vs Zone Fighter. The two battle on Monster Island in what turns out to be a training session, with Godzilla pointing out the finer points of combat to his friend. Meanwhile, scientists employed by Baron Garoga create a blob-like monster capable of absorbing Zone Fighter’s Super Proton Beam. 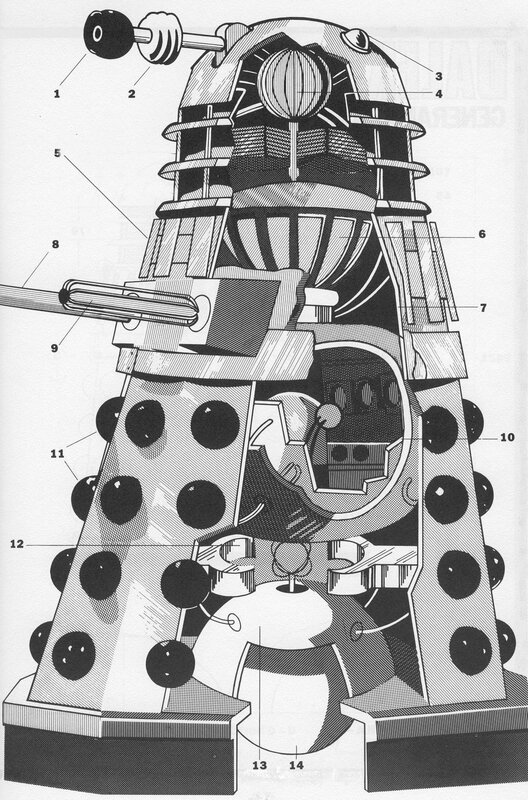 The jelly beast (named Jellar) is sent to Earth in a capsule, but before it can be activated it is intercepted by the Zone Family. In a plan to regain the capsule, Garoga’ s agents capture Akira and offer a trade: the boy for the monster. The plan goes awry, Jellar is released, and Zone Fighter goes into battle, but soon learns of the ineffectiveness of his proton beam. Always ready to save mankind, Godzilla is summoned from his cave on Monster Island (emerging from behind two large doors!). 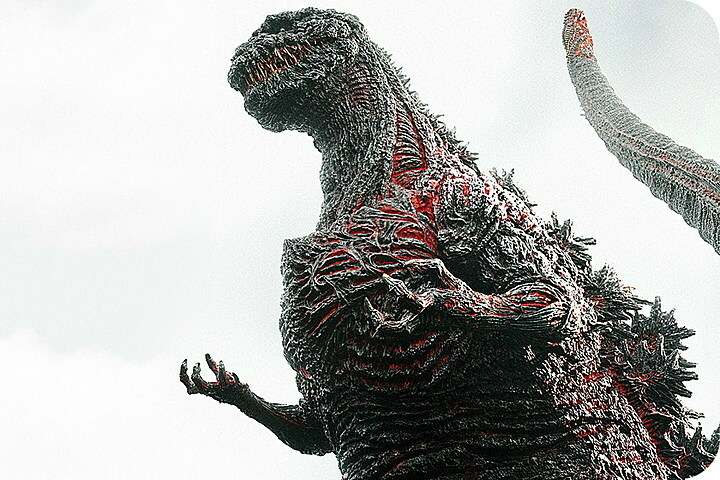 Godzilla tears off one of Jellar’s limbs, only to have it explode and turn into anew adversary called Kastamjellar. Joining forces, Zone Fighter and Godzilla manage to reduce the monster clones into pools of slime. For Godzilla’s last appearance in the series: “Gruesome! Zone Fighter and Godzilla vs the Horrible Allies” (air date: 17/09/73), Baron Garoga plans a multi-monster Earth invasion. Kei and her friend Mina, out for a walk in the woods, witness the arrival of the Horrible Allies at a secret base where the monsters are put into capsules to be scattered about the city like time bombs. Kei and Mina are trapped under a tree as one of the monsters approaches and it’s up to Zone Jr. and Hikaru to save them. Having been informed by Kei of what she has seen, the Zone family begins a search for the capsules which are being rather haphazardly tossed about by a pair of Garogain agents posing as sanitation workers. Hikaru finds some capsules and realizes the worst. While en route to the secret base, the capsules are activated and the monsters Spiderous and Galobug emerge. Trapped beneath a huge rock before he can transform, Hikaru is helpless to prevent the activation of the entire army of monsters. Unexpectedly, Godzilla arrives to confront Garoga’s pawns, but the creatures soon have Godzilla on the ropes. Mina frees Hikaru who comes to Godzilla’s aid as Zone Fighter, and once again, the combination of Godzilla and Zone Fighter saves the day. Of the three Toho monsters to appear in the series, only Ghidora is presented with due respect. Yet even these episodes are tainted by the pathetic condition of the Ghidora suit and the many flying scenes which employed the unrealistic miniature originally used in Godzilla On Monster Island. The fight scenes between Godzilla and Gigan were also poorly executed. Gigan never once uses his turnmy-cutter and even seems to have lost his power of flight. Godzilla is characterized in the manner of Godzilla vs Megalon, which was released at the same time as Zone Fighter was filming. Although often photographed from a low angle, no high speed filming was employed which destroyed any illusion of great size. Godzilla’s ray was achieved by a variety of techniques, from animation to a gaseous spray. The miniature cityscapes seen in Zone Fighter are fairly impressive considering the budget constraints. This helped make up for the often ridiculous nature of the monsters, few of whom would have had a chance against The King in “reel” life. The plots were strictly formula, always involving a fight between Garoga’s men and the Zone family at normal size and always ending with the climactic clash between the giant gladiators for the finale. It is also never made clear why Baron Garoga, who destroyed an entire planet of Zone type inhabitants, can’t conquer Earth being protected by a mere three! Zone Fighter ranks as a mediocre monster adventure show aimed squarely at small kids. Godzilla completists will have to grit their teeth, sit through it once, and be glad this sorry chapter in Godzilla’s career is long since closed.